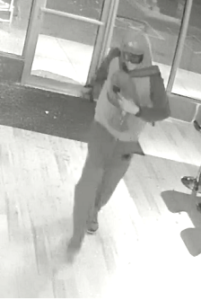 The Ottawa Police Service West Break and Enter Unit and Crime Stoppers are seeking the public’s assistance in identifying a suspect in a commercial break and enter. 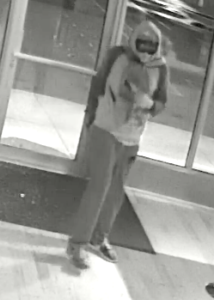 On the 25th of June 2018, at approximately 3:40 am, a suspect broke into a commercial business located in the 1600 block of Merivale Rd. Please see photos below provided by investigators. 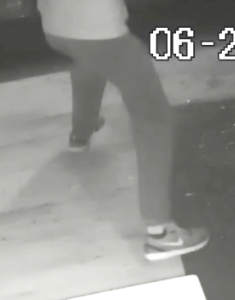 If you know the identity of the individual call the Ottawa Police Service West Break and Enter Unit (613) 236-1222 Ext 2655 or Crime Stoppers toll-free at 1-800-222-8477 (TIPS). Remember Crime Stoppers does not subscribe to call display, we will not ask your name or record your call and you are not required to testify in court. If your information leads to their identity, you could qualify for a cash reward of up to $2000. You can follow us on Facebook, YouTube and Twitter.